We're up to our eyeballs in futuristic spaceships, hostile alien worlds, fantastic alien races and space traveling heroes with week with the quickly approaching opening reception for Station Zero on Friday! Hope to see you there! 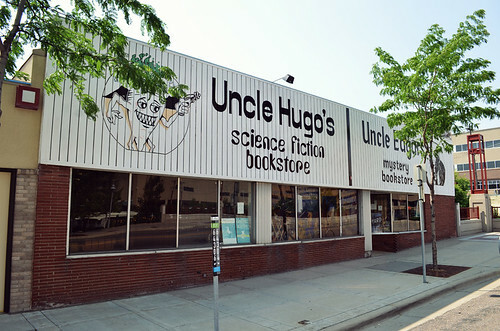 In preparing for Station Zero, we visited Uncle Hugo's Science Fiction Bookstore, an amazing hidden Minneapolis treasure near the corner of Lake and Chicago. Uncle Hugo's is the nation's oldest surviving sci-fi bookstore and is a fantasy/sci-fi lover's dream come true. 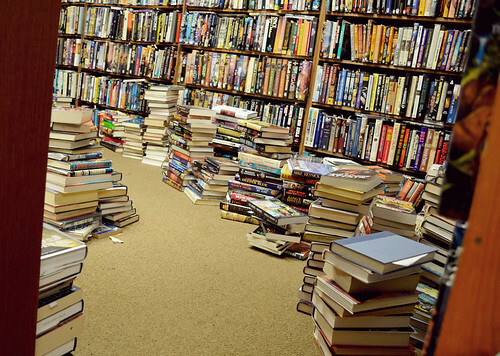 The large store is packed to the brim and you could easily spend days just sifting through the new and used books that are stacked in every corner. We snapped some photo's while we were there, too! 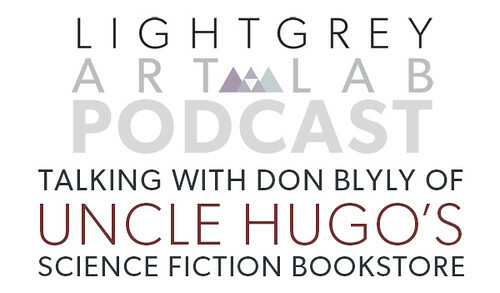 We recorded this week's podcast with Don Blyly, who started Uncle Hugo's back in 1974! Don is a huge fan of the genre, and besides the store he has an impressive personal sci-fi book collection of around 20,000 volumes! Don was a joy to talk to, as he obviously knows his stuff! If you're excited for Station Zero we know you'll love to hear this week's podcast! 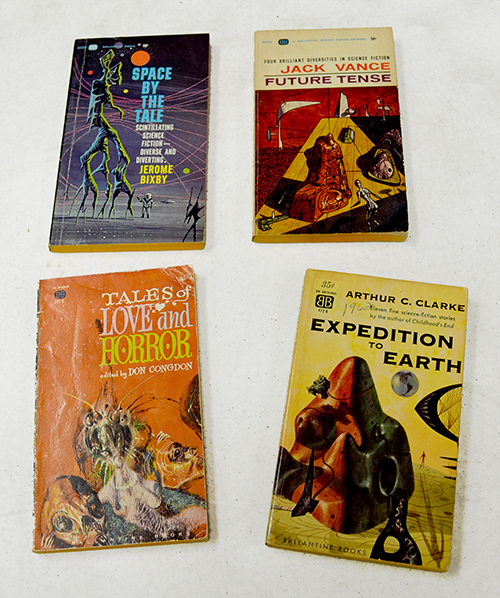 Synopsis: Station Zero opens this week and in honor of the vintage sci-fi books that inspired the exhibit, we're talking to Don Blyly - owner of Uncle Hugo's Science Fiction Bookstore. 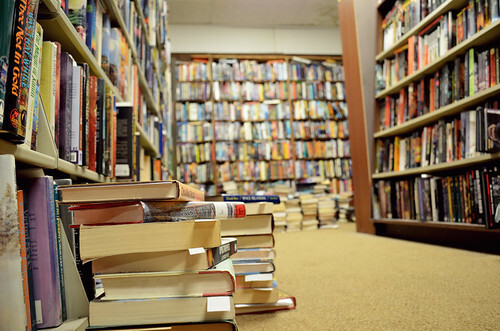 Uncle Hugo's is the oldest surviving Science Fiction bookstore in the country, filled with countless sci-fi books stacked floor to ceiling. 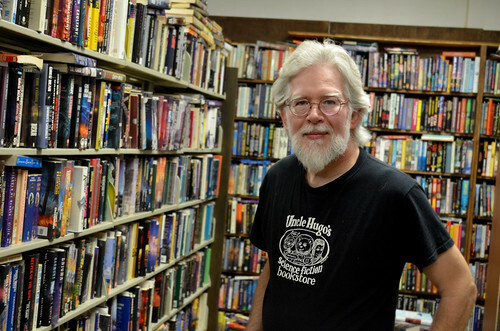 Besides the store, Don estimates his private sci-fi book collection at nearly 20,000 volumes. 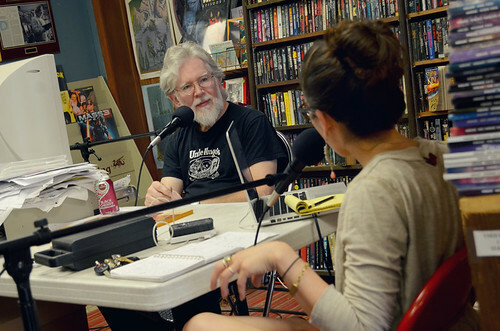 So who better to talk to about the history of science fiction and get a little perspective about the world and culture that inspired Station Zero? 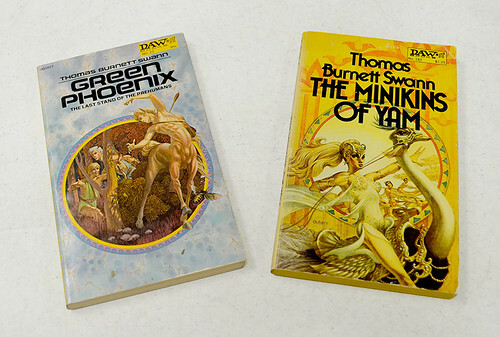 During the podcast, we talk specifically about some books that Don provided. I've included photos below, for those of you that are following along! Here's a few more pictures we took in the shop. You can see them all in our flickr set!